Foot Pain And Your Back | Podiatry Associates, P.C. What Does Foot Pain Have to Do with Your Back? Foot pain can be blamed on many different things – overdoing your workouts, shoes that are worn or don’t fit well, faulty foot structures passed down by your parents, or an injury that hasn’t healed correctly. 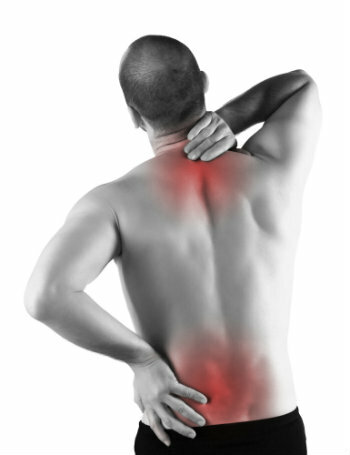 However, beyond these common culprits, did you know your back may actually be what’s behind your troubles? That’s right, foot pain and your back are often linked! Like the old song goes, “The foot bone’s connected to the ankle bone, the ankle bone’s connected to the leg bone, the leg bone’s connected to the hip bone” …and where does that connect? You got it! Of course, you can’t be too angry at your spine. After all, it does hold you up and help you move. Sometimes, though, a disc that slips out of place (herniates), or bulges, or a spinal nerve that gets pinched can cause pain in your legs, feet, and all the way down to your toes! You may struggle with throbbing or stabbing pain, numbness in your feet or tingling in your toes, cramping, or swelling -- and it can all be traced back to your spine. Clearly, if this is the case, you’ll need to treat your back problem first, if you want the symptoms in your feet to go away—which is even more reason why foot pain should never be ignored! It’s vital that you get your feet checked out so the cause of your pain can be determined and the appropriate course of treatment can be taken. It could be as minor of a solution as taking a break from training, switching shoes, or getting orthotics. However, it could also mean physical therapy, managing an underlying disease, or even surgery. Treatment options are as vast as the reasons for the pain, so if your experiencing discomfort in your feet, make an appointment today to find out why! Just call (303) 805-5156, and Dr. O can get you back to feeling great from head to toe – and everything in between!